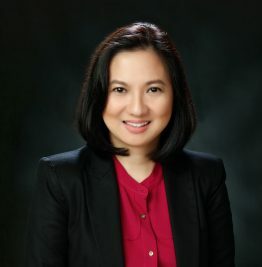 Kristine has close to 20 years of experience in the legal sector, first as a practicing attorney at SyCip Salazar Hernandez & Gatmaitan, and later serving as general counsel in a publicly listed company. She started her legal career at SyCip Salazar Hernandez & Gatmaitan in 1999, specializing in commercial and corporate transactions. She joined a publicly listed company in 2008 as senior legal counsel, and served as its general counsel from 2014 until 2017. Kristine specializes in foreign and local domestic investments, mergers and acquisitions, capital restructuring, capital market, securities regulation, corporate governance, and real estate transactions. Advising a consortium of foreign and local investors in relation to their participation in the bidding conducted by the Philippine government for the transmission assets of the National Transmission Corporation. Advising a group of international underwriters in relation to the offering outside the Philippines of approximately US$73 million worth of American depositary shares, representing Philippine listed securities. Advising a government-owned and controlled company in the structuring and implementation of its privatisation including its initial public offering worth approximately Php 1 billion. Studying and implementing the multifarious aspects of the group’s equity and capital structure rationalisation. Leading the development of the company’s information management system for its permits and licenses.